Godsrule is an interesting new strategy/management browser game developed by Gogogic that tries to renew the genre by offering a client-level high quality real time strategy combat system and graphics. Lately we had the chance try it out and, of-course, we want to share our impressions with you. Being a browser game, the registration process it's quick and painless, and you don't have to download anything. 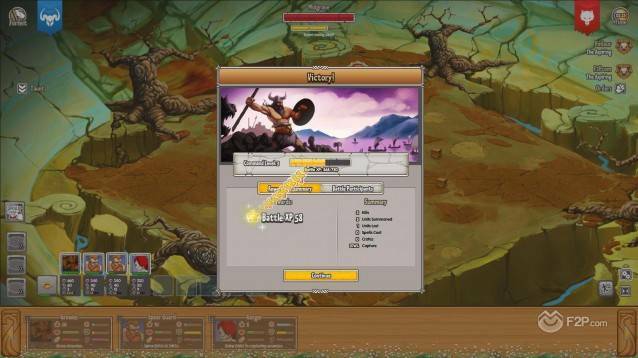 Moreover, before the registration process, just by clicking "play" you can try the game combat system in a quick tutorial battle. And if you are one of those who hate to fill the various fields of a registration form, you can also choose to use your Facebook account for a quick registration. After the quick tutorial battle you have to choose your name and one of the two available factions: the human race, who joined the old gods and is called Keepers of the Ancients, and the Souls of Ascension, a coalition formed by elves, demons and giants, who chose the side of the new gods. Each faction has its very own unique units and spells, but for the rest is basically the same. As soon as you finish the quick tutorial, you will be sent to your village, where you can find a bunch of basic buildings awaiting you. 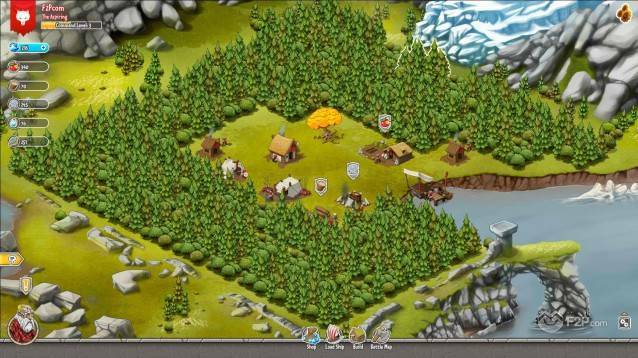 The village represents the management/building part of the game and is where you can prepare your strategy, take care of your population and prepare to the battle. This part of Godsrule it's pretty standard if you have ever played any other management/city building browser games before. Basically you start with a small undeveloped village and just some starting buildings, and you have to expand it by building more houses and structures and upgrading them. There are a lot of available building with different purposes in the game that will give you benefits and will unlock more game elements such as new building and units. For example upgrading the barracks unlocks more and more basic units, while building the temple will let you hire special units with particular powers and skills. In order to build new structures, you will need different types of resources. 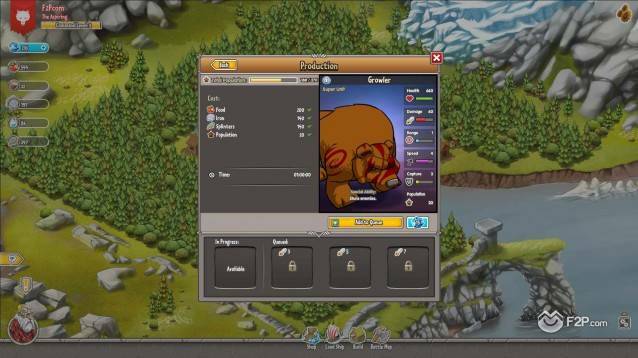 You can obtain them thanks to production structures such as the Mine, the Lumber Mill, the Farm and the Henge, or as rewards after a victorious battle. As you will see, at the beginning you have limited space in your village, which is surrounded by trees. You can clear woods plots spending resources and time and by doing it, you have the chance to find some lost ruins under them. 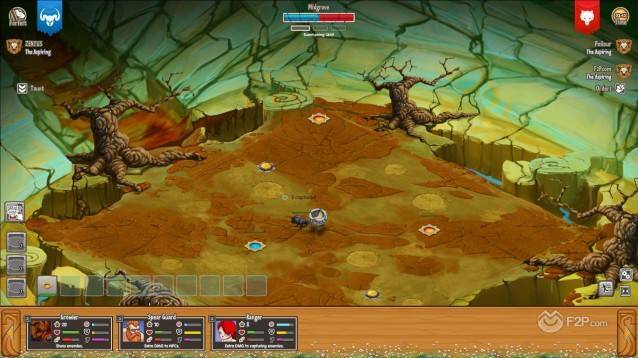 Ruins contain monsters, are a good chance for a battle and will reward you with a good amount of resources and XP. Sadly, with the exception of the really basic stuff, production/building times of structures and units are often very long, but you can produce/build/upgrade everything immediately and without any resources consumption by just spending Orbs (the game's premium currency). While in the beginning this doesn't seem a big deal, when you will be far in the game, having to wait a lot to build something/reform your army after every battle could be boring and you could be tempted to buy more Orbs. However, during the first phases of the game you will receive some of them, so you will be able to try them out and see how the premium currency works by yourself. The battles are the very unique part of the game and what make it stand out in the genre. You can access to the fights in three different ways. The first one is from the barracks, through the "creatures fight". In this type of fight you have to face monsters and in case of victory will be rewarded with resources. This kind of battle against creatures is also accessible in the ruins that may be found after clearing a portion of forest. The last kind of battle, accessible through the Harbor, is against other players and is fought in the various regions of the game's map that will be unlocked by advancing in the game. A Faction can conquer the different regions (and obtain different bonuses) by winning more match on that region than the opposite faction. But let's see how the combat system works. Joining a fight you will be moved to a squared arena with one or more relics to conquer (different units have different channeling times to claim them) in order to win the game. Your spawning point is in one corner of the map and from there you can summon any of the units from the formation that you have previously selected through the harbor and that is now visible on the bottom of the screen. You can select and move one or more units at once by the right click just like in a client-based RTS game, and each unit has its attack range showed by an orange circle to help you to make your tactic decision in the heat of the fight. Each unit has its own stats like attack, speed, channeling speed and life, and it's better in certain situations, so it's up to you to choose the right unit for the right task, adding a nice depth to the tactics. Moreover, capturing certain points of interest will make you summon more creatures. In addition, there are crates scattered around the battlefield that will prove you several kind of bonuses. While in the PvE battles you just have to defeat the monsters and claim the relic, in the PvP battles you also have to face the enemy players who will try to claim the relic for themselves. The battles are quite fast paced and nice to watch thanks to the well-made animations of the units, but often the controls are unresponsive and it can be hard to make your unit react quickly to do what you want. Sometimes they also get stucked in certain animations or just stand still without responding to the enemy attacks. While these bugs may not be a game-breaker, they can be really annoying considering that you have to spend resources and time to build new units after the battle. The graphics are one of the strong points of the game. The style is cartoonish and colorful but without being too childish. In the village you can see each building with little animation like people working on the outside and little nice details. The backgrounds are nice too, but it seems like Devs didn't put the same effort in making them such as they did with the rest. The battles are extremely well animated and it's a pleasure to watch the creatures fight. Surprisingly for a browser game of this genre, the game also has sounds, and even if a little simple, they are polished and enjoyable, and definitely better than a boring silence. Godsrule want to bring some innovations in a genre full of clones that seems to offer always more of the same, and tries to do that with fast-paced real time PvE and PvP battles and an appealing 2D graphics. We have to say that if you like the genre, you may be able to overlook its weak spots like some bugs and the slow paced progression (if you don't want to pay). While the building part of the game is nothing really innovative, it's definitively well-made, and the battles are engaging and fun.